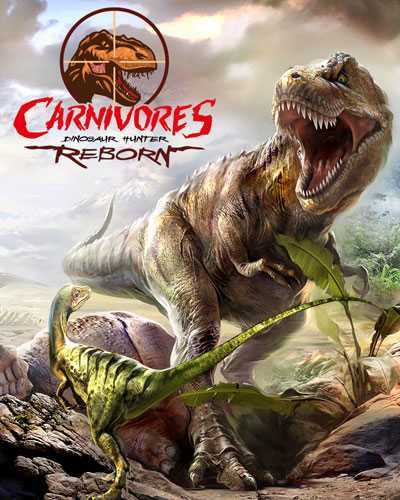 Carnivores Dinosaur Hunter Reborn is an Open World and Simulation game for PC published by Digital Dreams Entertainment LLC in 2015. The story starts after the happenings of Carnivores Dinosaur Hunter released in 2010. The generation of the dinosaurs has not extinct! You have to hunt them again. Players should obtain hunting equipment at first. There will be enough money at your account for primary equipment. When you got them, Target a dinosaur. Discover the location of that target. Of course you need to use GPS for finding the targets. You are free to choose them at this game’s world. Because the genre is Open World. It means that you don’t have to hunt specified targets. If you were able to find it, Get closer. Players shouldn’t attack at first. Because the target may run easily. Get ready for the best time. Aim your gun and shoot it. Be careful. Because if you couldn’t kill it within some seconds, He will attack then. It’s almost impossible to escape after being unsuccessful. So it’s better to aim carefully. Each dinosaur lives in special area. Most of them live in groups. You shouldn’t attack to the one who lives with other dinosaurs. If you wan’t to earn good money, Choose the easiest one. The environments are really beautiful. They are also with lots of details. The design of each character is great too. Developers of Carnivores Dinosaur Hunter Reborn have used historical information to design them. The average score of this game is 9/10 on Steam. 51 Comments ON " Carnivores Dinosaur Hunter Reborn Free "
can u upload third person shooter category please? ive got it downloaded but is says i need steam to play it still where do i put the crack if its not predone? You have to use Crack. can u upload a poker game offline bro??? My game is not working saying its missing a file. i re-downloaded it 3 times now and still the same outcome. Keeps saying my fmodex.dll file is missing from my computer try reinstalling the program to fix this problem. I dont know what to do to get it working. You should install Directx 9.0c. You won’t need steam to install it. Mine says steam is not running can someone tell me how to fix it? Can you upload this to mega.co.nz or mediafire.com? Please and thank you kind sir! how to get zip file password? what is password for the zip? For some reason my computer keeps saying that I can’t play this game because it needs something to be able to be played. Any solution for this problem? i did everything right but when i go to run the game a window pops up and then a smaller one pops up and says that steam could not start so my question is how do i fix that? when I extracted the rar it says setup-1a.bin have a wrong password.